Blurb, the self-publishing platform, has announced a collaboration with Adobe Systems for the newly announced public beta of Photoshop Lightroom 4. The integration means that books can be created directly within Lightroom 4, with a direct link to the Blurb website for the printing, marketing and distribution aspect of book creation. Blurb is an online publisher of photo books that allows users to upload their own photographs to create their own and sell them on for profit in the Blurb bookstore. Boasting the widest range of book customisation options of any on-demand publishing platform, Blurb users can choose from several different paper types, end sheets and case cover options. Lightroom 4 was announced during CES as a public beta, meaning that photographers can download a full version of the programme to test and give feedback to Adobe before the final paid-for version of the programme launches later in the year. The Blurb integration not only allows for photographs to be laid out, but also for those photos to be edited after being placed in the layout. 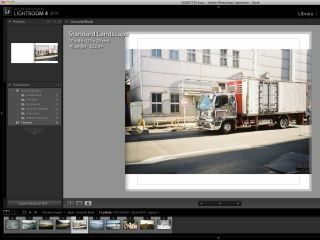 The estimated price of the book can also be viewed within Lightroom itself. Adobe has previously teamed up with Blurb in 2011 to bring integrated bookmaking to its InDesign desktop publishing software. Lightroom 3 users can also use the Blurb Bookify and Blurb BookSmart plugins, which allows photos to be transferred directly from Lightroom. Blurb customers can also use a dedicated BookSmart desktop app to create photobooks.